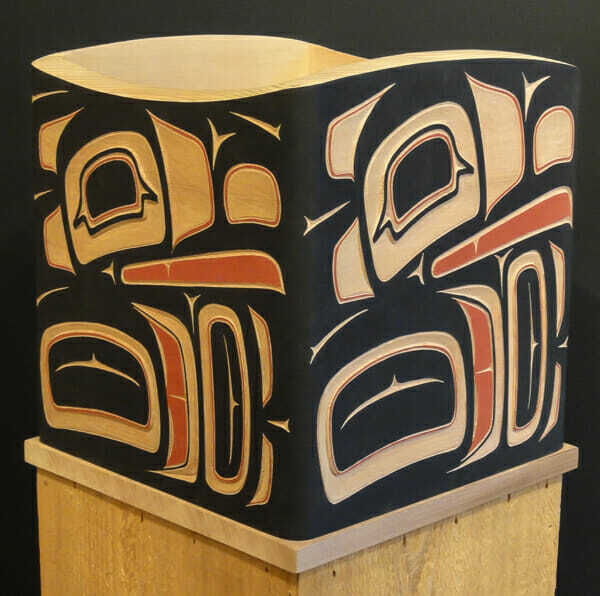 Prior to contact with Europeans and the introduction of metal tools, Northwest Coast artisans developed an ingenious wood working technique. 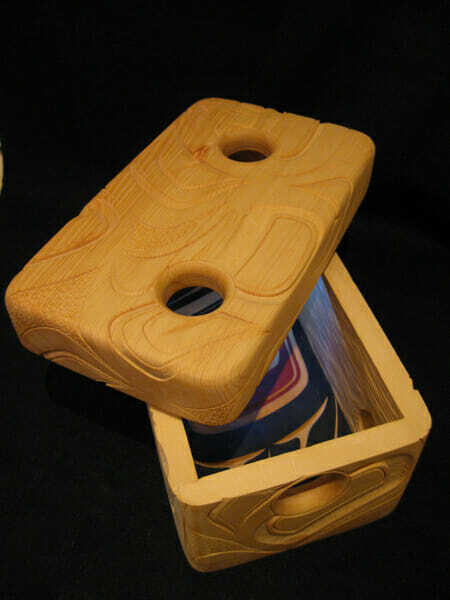 This involves grooving, steaming and bending a single wooden plank to form the sides of a box. Three corners of the box are bent and the fourth is pegged or tied (or more recently glued) and a bottom is added. 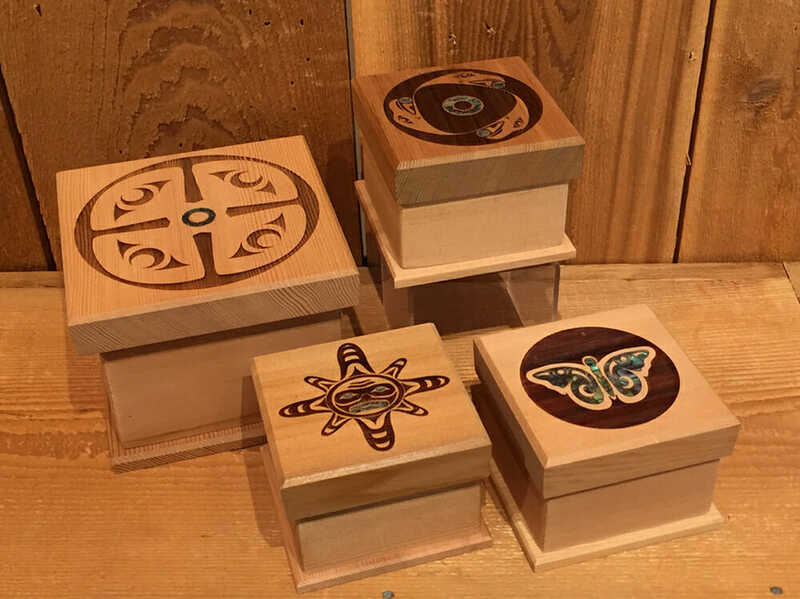 Artists decorate these boxes with shallow-relief carving and/or use paint to add designs and sometimes inlay surfaces with pieces of shell and metal. 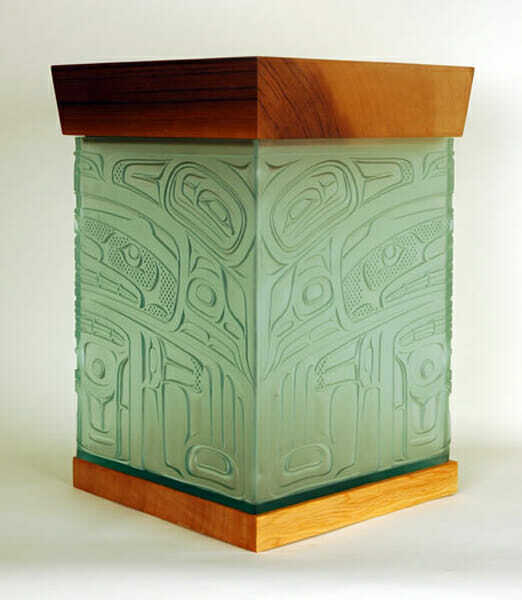 Lids are commonly left undecorated although some feature an inlaid border of operculum. 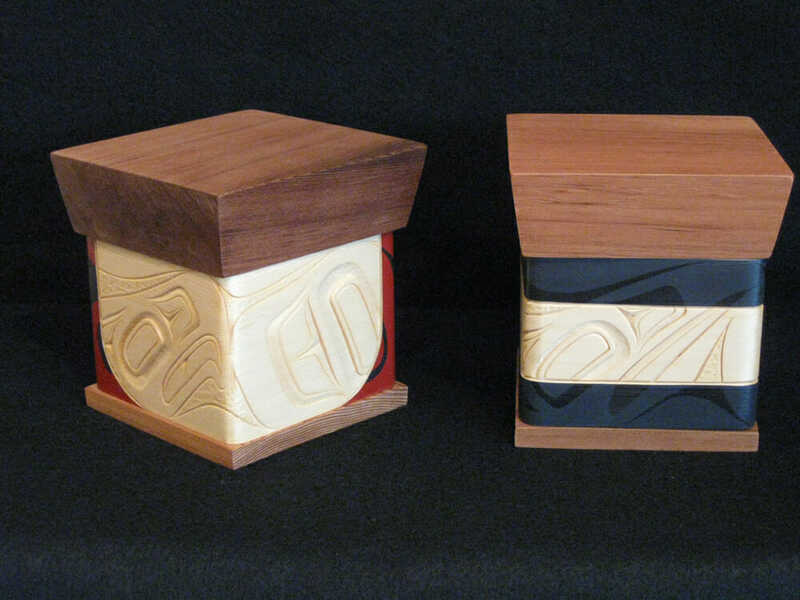 Boxes are typically made from cedar (red and yellow) or spruce. 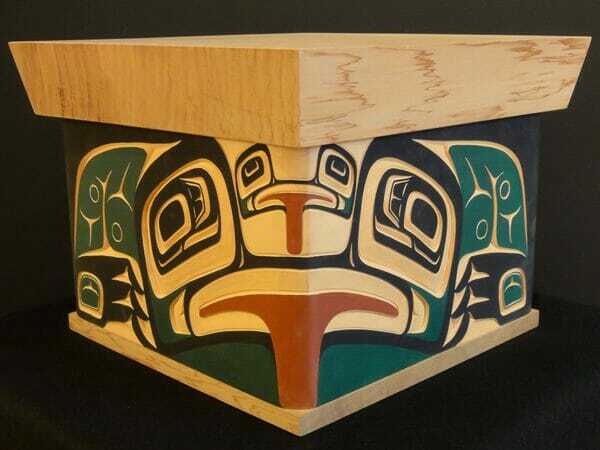 The boxes are prized possessions, customarily used to house wealth and ceremonial objects. 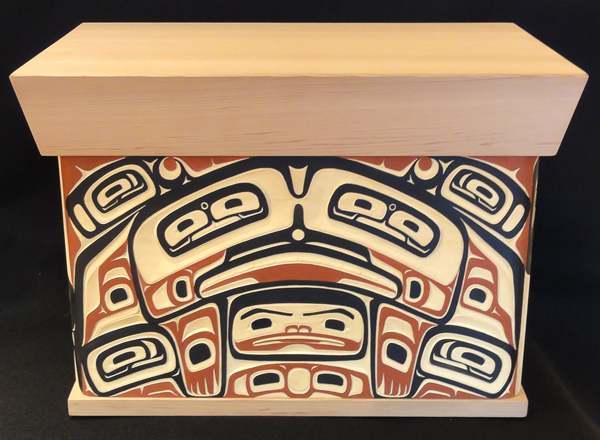 Storage boxes for more mundane articles might be painted with crest and story motifs, but generally do not have extensive carving. 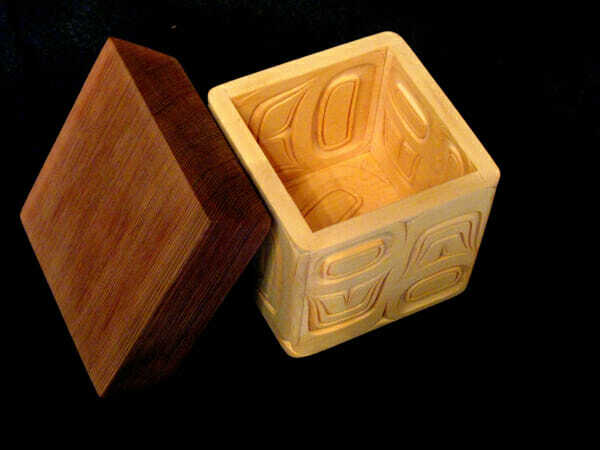 Lidless boxes might serve as cooking and food-serving vessels. 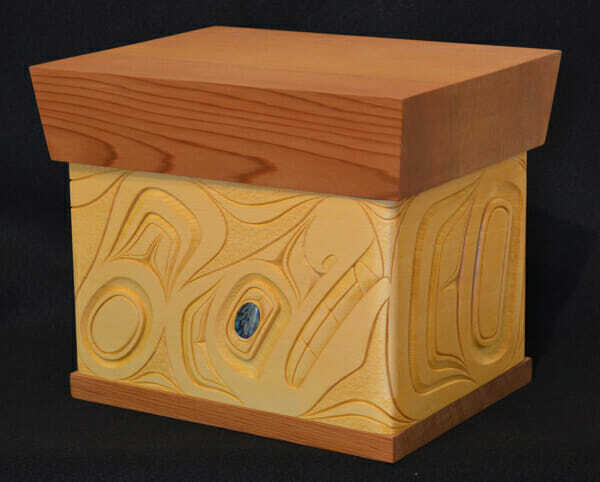 People often give names to their decorated boxes, tell stories about their histories and treat them as important heirlooms. 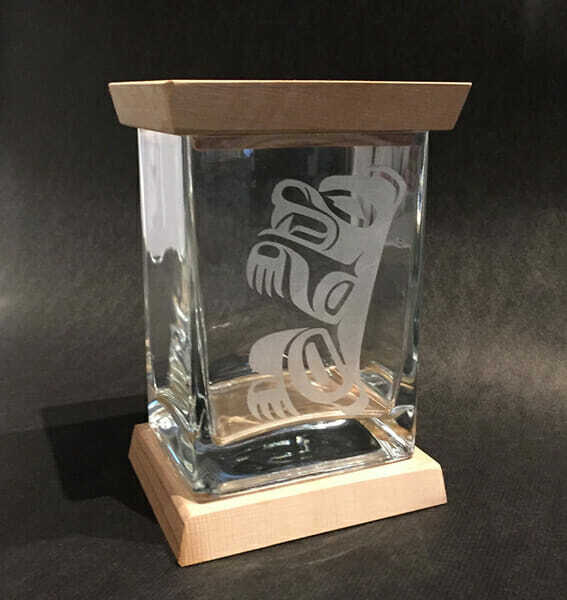 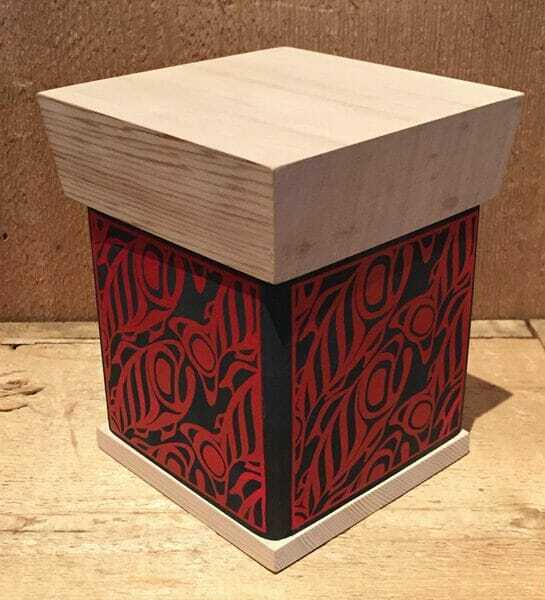 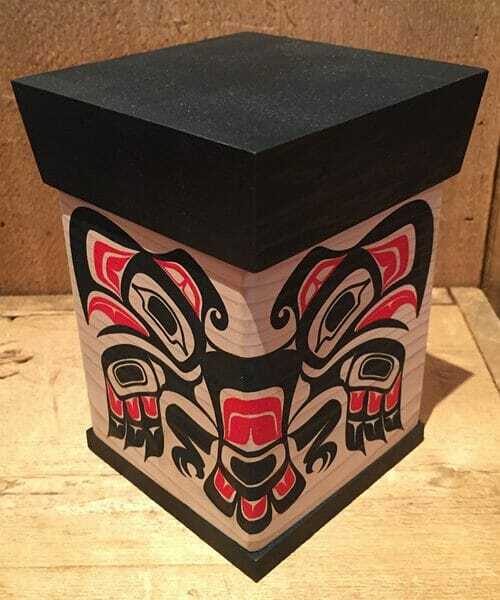 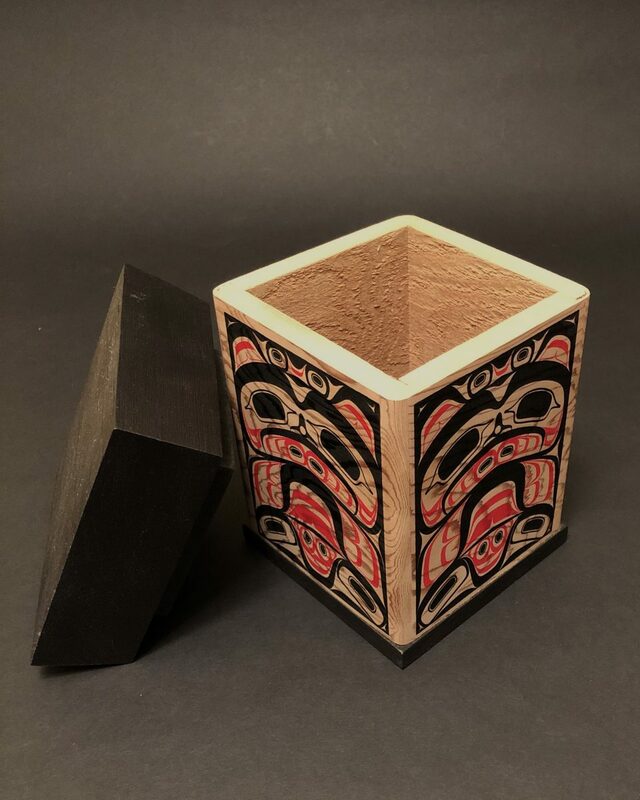 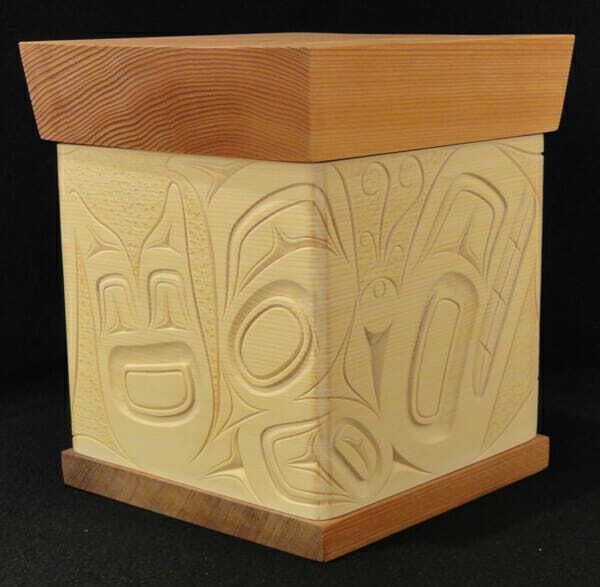 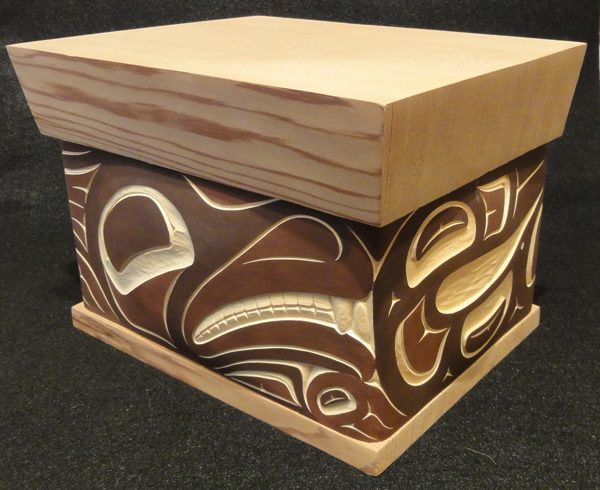 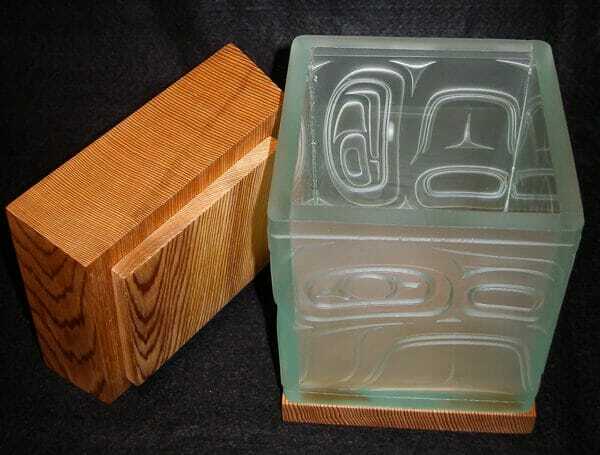 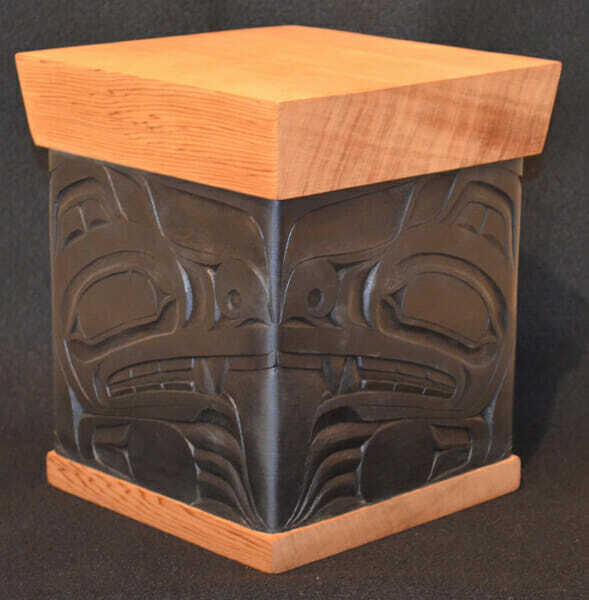 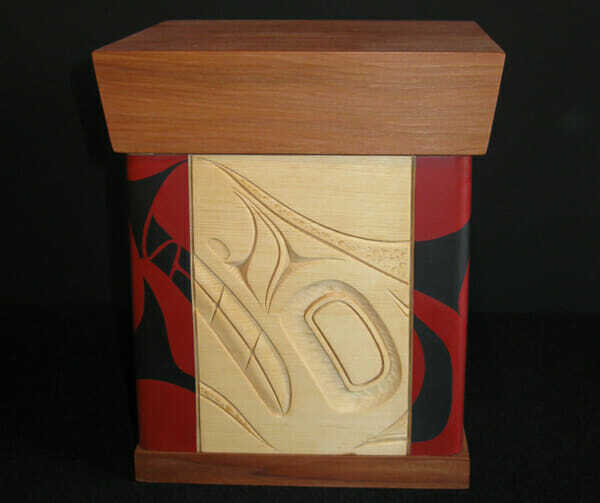 In one Haida myth, a nesting stack of magic boxes contains the treasured objects from which Raven created the world.